Canyon Lake, TX - For the second time in just over a year, dogs have inflicted a deadly attack in Comal County, Texas. On Saturday evening, 7-year old Gaege Ramirez was fatally attacked by multiple dogs at a home in the Canyon Lake area. The attack occurred at a home on the 2100 block of Rocky Ridge Loop. 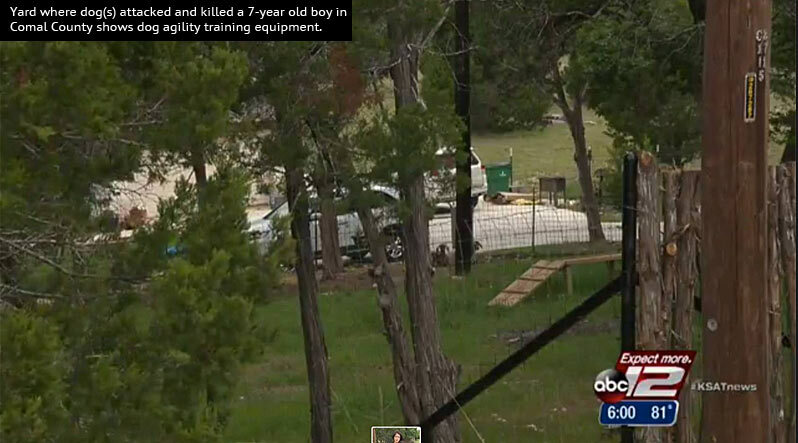 The boy was airlifted to University Hospital in San Antonio where doctors tried to save the lives of two elderly pit bull mauling victims in 2014, neither survived. 75-year old Betty Clark of Canyon Lake and 83-year old Petra Aguirre of San Antonio both died of their severe mauling injuries while hospitalized. 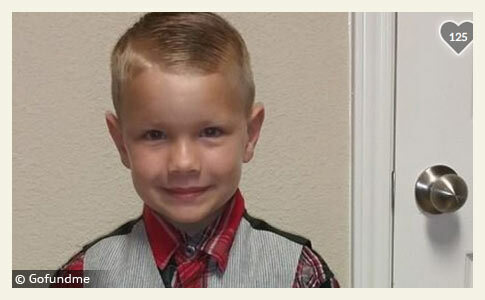 Gaege was the son of one of the Comal County District Attorney's office investigators. District Attorney Jennifer Tharp said that Gaege was tragically taken from this Earth as a result of a dog attack. 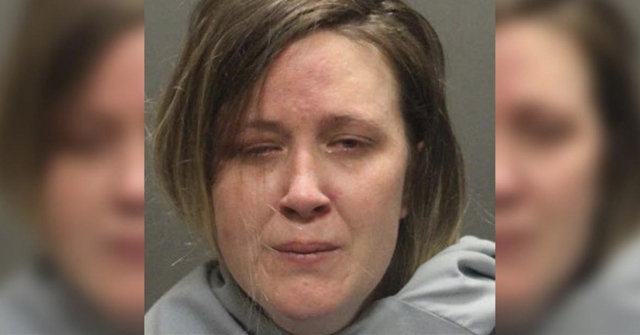 "I have had the distinct privilege of knowing Gaege from time he has spent at my office with his mother, Amber Hardcastle, one of my felony investigators," Tharp said. "The Hardcastle and Ramirez family is in our hearts and prayers during this difficult time and tragic loss," Tharp said. In June of 2014, 6-months after the pit bull mauling death of Betty Clark, a Comal County grand jury indicted the dogs' owners in connection to her death. Rachelle Lucas, 47, and Peter Lucas, 49 both of Canyon Lake, were each charged with a second-degree felony. The last known update of their criminal case was October 2014. The Comal County District Attorney's office prosecuted the couple's case, the first case ever brought in Comal County under the state felony dog attack law. So what happens with investigations about vicious dog attacks when the felony investigator for the DA's Office has vicious dogs at home? 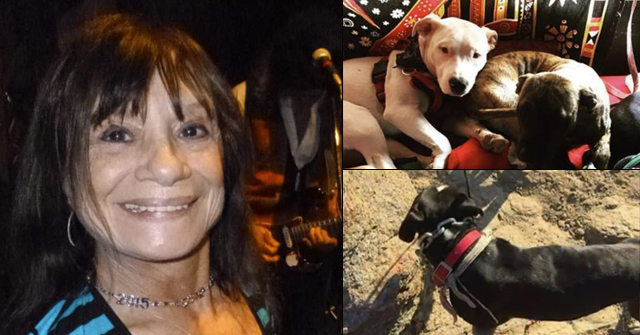 This fatal dog attack happened while she and her son were "visiting" a friend. It is still breaking and we are doing a lot a research! This case could be a game changer. Why? Because many officials are still in denial about the problems that dogs can cause. Including fatal maulings. They are suppressing all info about the types of dogs involved, but made a coy PR announcement that it was "not pit bulls" – a very suspicious announcement on the face of it. The last time a similar "not pit bulls" PR statement was made, they had to backpedal a bit and admit that, well, they don't consider them to be pit bulls, but they were the type of dog commonly referred to as pit bulls. A hot tipper sends in a screenshot of the dog owner's backyard. This is not your average dog owner — that is dog agility training equipment. 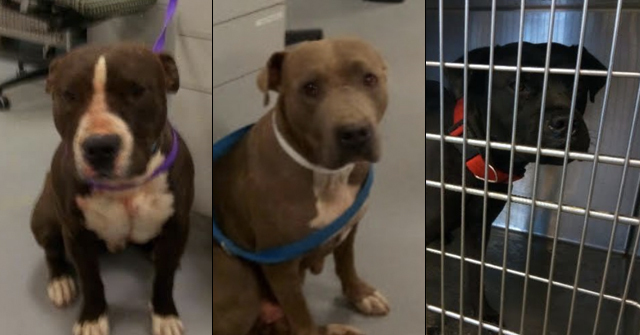 So far, the Comal County Sherifff's office has not released any breed information other than the "dogs were not pit bulls." Sheriff's officials did not release "breed information" after the protection trained dog fatal attack last year either. Actually that does not appear to be dog agility equipment at all from what I can see. With the goats laying in the background it looks more like the kind of thing you build for goats to walk and climb on. That is very true too — The goats are hard to make out. Did not see them earlier! Similar to agility. We do believe we know who the homeowner is based on public property records. She mentioned loving her dogs and goats in one of her bios. But little explains why the sheriff's office is stonewalling. The homeowner is also a veterinarian. This incident raises questions for me about how the Comal County Texas DA's office investigates dog maulings, whose professional opinions they seek, and how seriously they treat dangerous dog issues, particularly if the dog owner here is a professional involved in the dog business in some way. If a veterinarian is involved, an authority figure and a professional related to the dog industry and with personal connections to DA's office investigating personnel, it makes me wonder what influence that is playing on the politics of dangerous dog issues in the county? Statements were actually made to the media that this was somehow normal behavior for dogs, to attack and kill a child. A veterinarian and a DA's office investigator are saying that, which is completely untrue? What does this say for other victims and other investigations? To add to the confusion, and we continue researching more and more, is that house flipping is going on like crazy in the Canyon Lake area. The property owner may not be living at the location, but renting it out or, it could have flipped again and the county property records are just not updated yet. The last updated date is 8/2014. Many of the homes in this area were literally built in 2012/2013. The other factor is that last year, after Betty Clark was fatally attacked by pit bulls, Comal County released no information to the media. The public first learns about her death in April 2014, four months afterward, because it was "noted in a Spring 2014 Comal County Public Health Dept. newsletter" and the victim's family member came forward. So, failure to release details is not new for the county. Canyon Lake has a population of 21k. 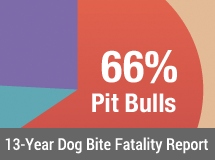 Two fatal dog attacks in 16 months is outlandish; it's unthinkable. But people in the area are complaining. This came after Clark's death and before Gaege's death. Of course Gaege's death does not involve loose off-property dogs. There is no way there will be any charges. Just the lifelong pain of knowing that five dogs and a "visiting" child added up to a disaster. Presuming that all five dogs were involved and that is not even a safe assumption to make. To answer the DA question, I think they did a great job in bringing their first case under Lillian's law last year, which appears to have been the first case of a fatal dog attack in Comal County. This is highly unusual. It took Harris County many deaths and years before they brought their first case last year. If it's normal dog behavior to attack and kill a child, don't you think that the pet industry would launch an ad campaign to tell the truth? After all, their very existence depends on sales to dog owners. If dogs become less popular, well, that's less money for the pet industry. I'm very familiar with this part of Texas and have been to Canyon Lake many times. That whole area is exploding with growth. I hope the prosecutor there doesn't sweep this under the rug if there is a case to be brought.